Where the Sea of Cortés meets the Pacific, you will find one of the most intriguing holiday destinations in the entire world. Los Cabos at the tip of Baja California in Mexico is a Mecca for big game fishing, world-class golf, scuba diving, snorkelling and kayaking. You will find quiet coves and inlets, you will have the opportunity to go horseback on pristine beaches and to relax and rejuvenate in high-end spas. 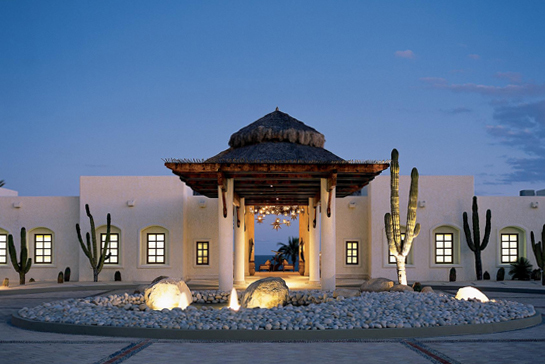 Los Cabos has over 30 miles of beach and some of the best golf courses in all of North America. In the middle of all this wonder, you will find the glamorous resort of Las Ventanas al Paraiso. Perched between desert sands and deep blue sea, this famous resort has all you need to combine a dream destination with a personal experience of a lifetime. The resort has 61 suites, private Jacuzzis, dedicated butler services, rooftop terraces and telescopes for exploring the wonderfully clear constellations in the Mexican sky. In addition, there is and endless array of activities on offer, ranging from whale watching and diving, to cookery classes and tequila lessons. Don’t miss out! Book your perfect holiday right now!